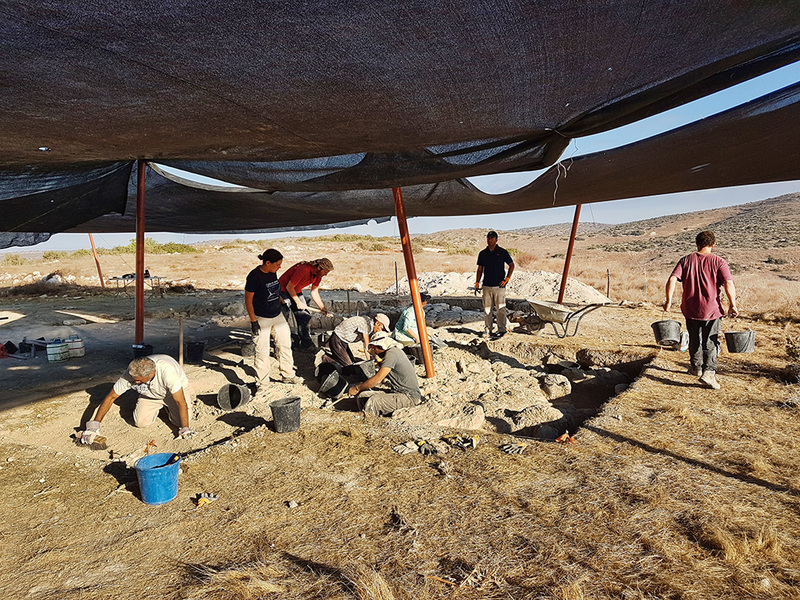 Archaeologists working with the Israel Antiquities Authority and Hebrew University have uncovered an Idumean palace or temple in the Lachish region of the Judean Shephelah. 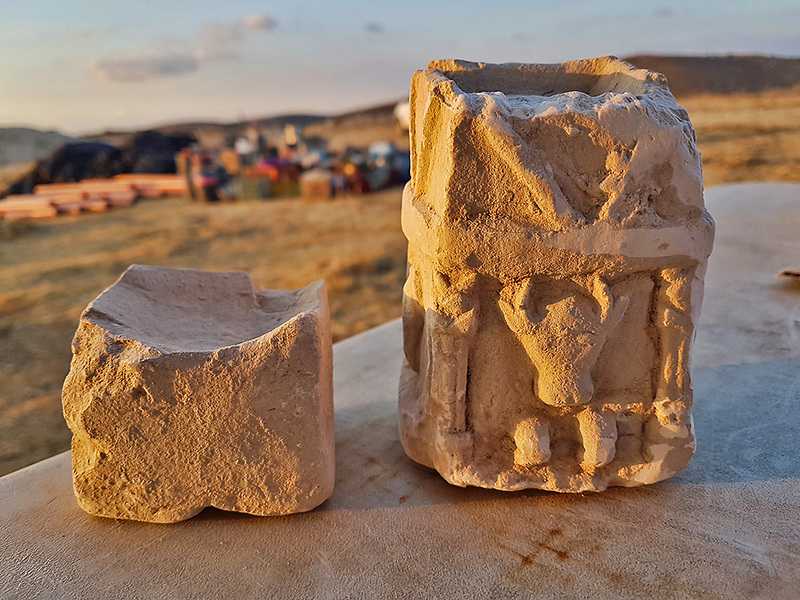 I understand the news release to place this discovery south of the Beit Guvrin/Maresha National Park, and east of Lachish, in a military area. This area was allotted to the tribe of Simeon, but by the second century B.C. it had become part of Idumea, the residence of ancient Edomites who were pushed out of the area of Edom (the location of Petra in Jordan) by the Nabateans. Herod the Great was an Idumean. Some have suggested Maresha as his hometown. 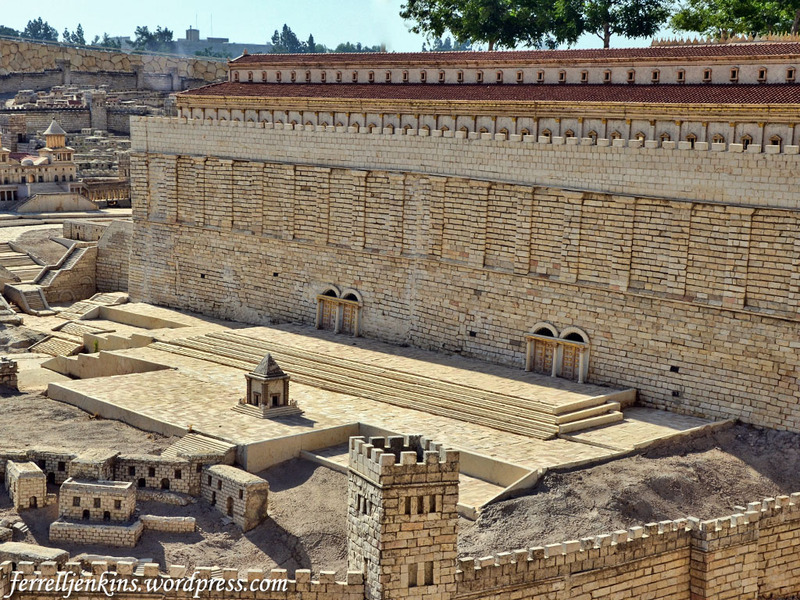 He ruled over the Jews from 47 to 4 B.C., and his dynasty continued throughout most of the first century A.D. Herod was known for his fabulous building program that included the temple, the temple platform and the surrounding wall (John 2:20). He was a cruel ruler who sought to destroy the infant Jesus (Matthew 2:16). The drone photo below shows portions of the large structure recently discovered. An impressive 2200-year-old (Hellenistic period) structure, possibly an Idumean palace or temple, was uncovered during Sukkot in archaeological excavations at the site of Horvat ‘Amuda, situated at the heart of a military training area in the Lachish region. Two cultic incense altars found in one of the rooms of the structure (photo: Michal Haber, Israel Antiquities Authority). These altars are small enough to be held in one’s hand. Two stone incense altars were discovered in one of the rooms. One of them, bearing the carved image of a bull, is depicted as standing in what is apparently the façade of a temple adorned with magnificent columns. According to the archaeologists, the altar is “a unique and rare find in terms of its decoration.” The bull, they say, “may have symbolized a deity worshipped by the Idumeans.” In addition to the incense altar, delicate pottery vessels were also uncovered, including painted bowls, juglets and oil lamps. Also found at the site are numerous underground spaces, used as quarries or to house ritual baths (miqvaot), oil presses and dovecotes. Hiding tunnels from the time of the Jewish revolts against the Romans were also discovered; one of these contained an intact cooking pot from the time of the Bar Kokhba Revolt (132–135 CE). 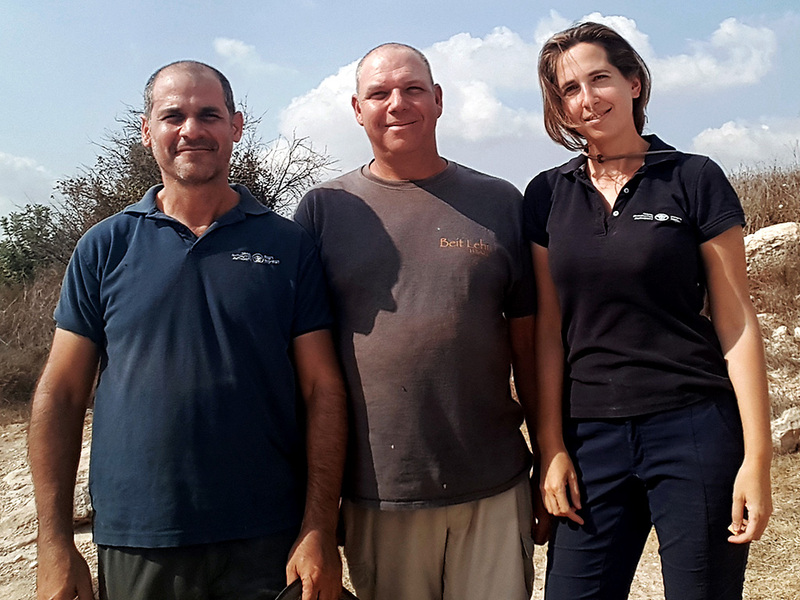 The excavation at Horvat ‘Amuda, which was funded by the Beit Lehi Foundation and the Israel Antiquities Authority, was carried out with the participation of archaeology students from the Hebrew University, Bar-Ilan University, as well as a group of volunteers from the United States. During the Hellenistic period Horvat ‘Amuda was apparently one of the agricultural satellite settlements of Maresha, which had by now become the Idumean district capital (today it is part of Bet Guvrin-Maresha National Park). Prior to that, in the fifth century BCE (the Persian period), the Idumeans – a Semitic people originating in southern Jordan – settled in the Judean Shephelah (foothills). After the area was conquered by the Hasmoneans in 112 BCE, the Idumeans converted and subsequently blended into the Judean population. The psalmist reminds his readers why they should praise the LORD. It is because He is God, the one who made them, and the one to whom they belong. “We are his people, and the sheep of his pasture.” Perhaps a few photos will help us visualize this Psalm. 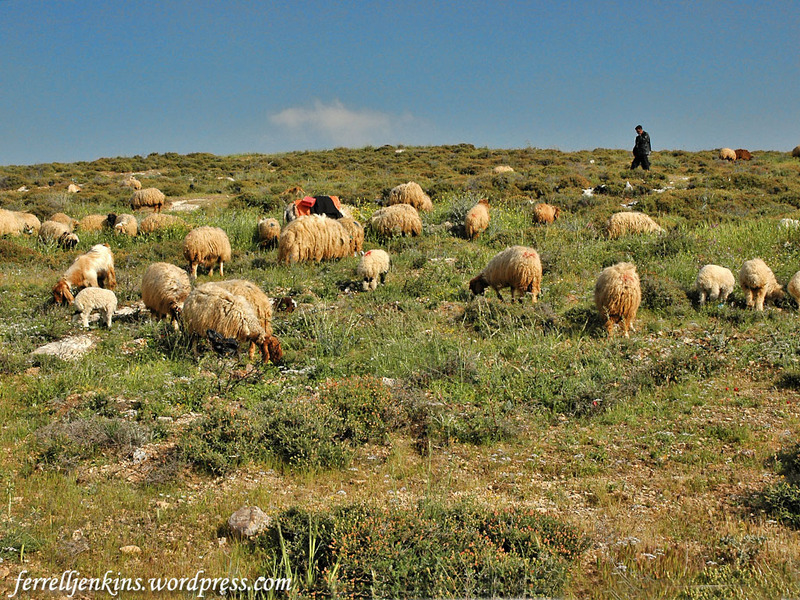 A shepherd with his sheep near Heshbon in Jordan. Photo by Ferrell Jenkins. 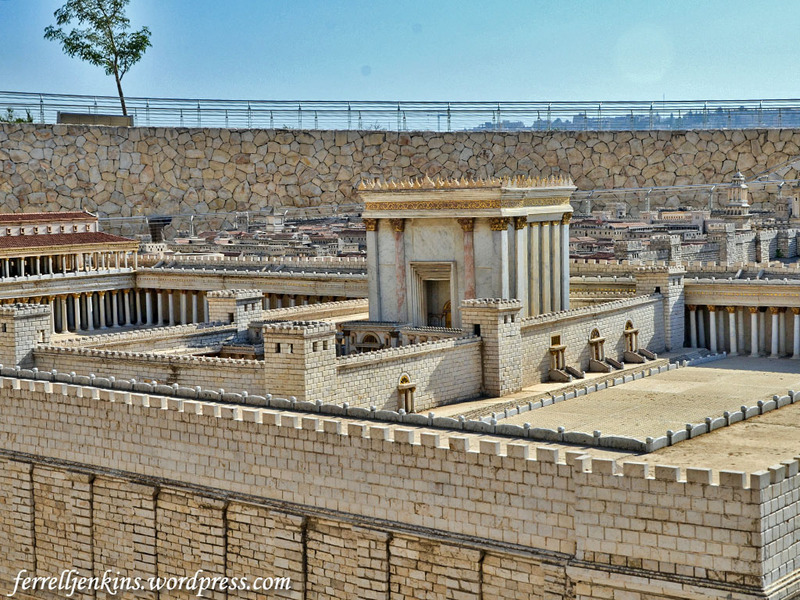 This photo of the second temple model at the Israel Museum in Jerusalem shows the south side of the temple mount.. We see steps and gates that led to the temple. Photo by Ferrell Jenkins. In this photo of the temple model we see various courts that were part of the temple precinct. Photo by Ferrell Jenkins. Hurriyet Daily News recently reported here on plans to reconstruct the ancient stadium in ancient Laodicea. Laodicea is known to Bible students from the book of Revelation (1:11; 3:14-22), and from Paul’s epistle to the Colossians. Laodicea is located about 100 miles east of Ephesus, five miles from the modern Turkish town of Denizli, and near the popular resort of Pamukkale. The stadium at Laodicea before the recent efforts to uncover the stadium and restore it. A portion of the nymphaeum is visible on the hill on the left side of the photo. Photo by Ferrell Jenkins. 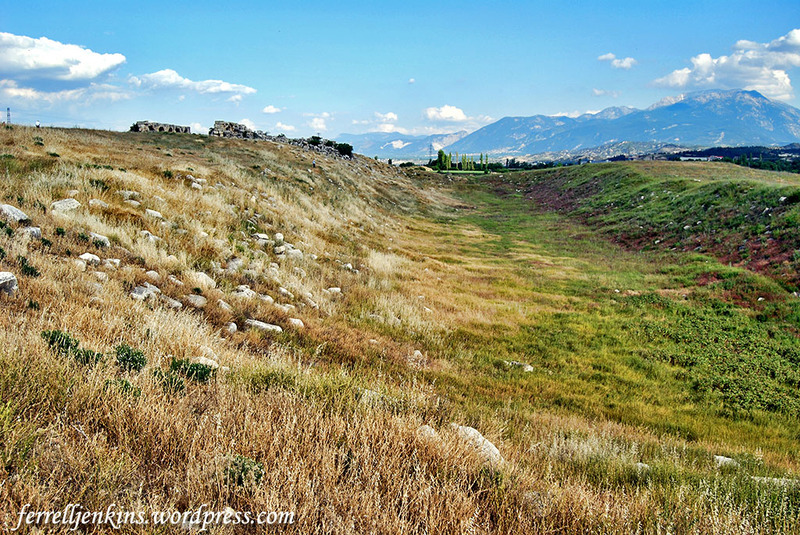 When I first began traveling to visit the sites of the Seven Churches of the book of Revelation, all we could see at Laodicea was the form of the stadium and ruins of a nymphaeum (a fountain house). If we walked through across the mound to the north we could see the location of two theaters. That was about it. In recent years tourists have seen many new excavations and reconstructions on the north side of the tell, but few walked through the weeds to get to the stadium. Originally the stadium was an enclosed structure used for gladiatorial games. An inscription tells that a wealthy family dedicated it to Emperor Vespasian (A.D. 69-79) and Emperor Titus (A.D. 79-81). It is said to be the biggest stadium in Anatolia. Vespasian and Titus are known for their war with the Jews beginning in A.D. 66, and the destruction of Jerusalem in A.D. 70. Here is the article from the Hurriyet Daily News for those who wish to read further. 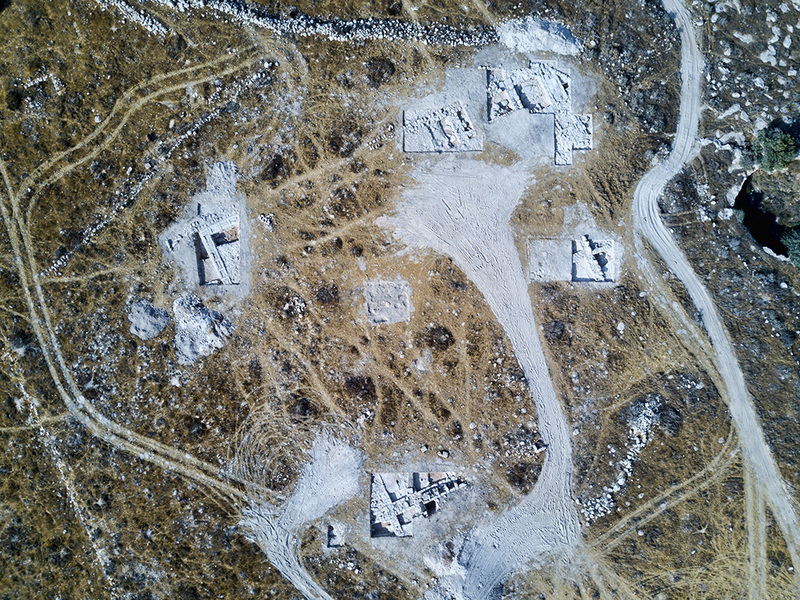 Works have been initiated this summer to unearth a stadium in the ancient city of Laodicea, a property on UNESCO’s tentative list for World Heritage Sites. The stadium was a venue for sports competitions and gladiator fights in ancient times and is located in the western province of Denizli. The artifacts include figures, sculptures, agricultural tools, and household products and have been under protection. The Holy Agora, which is home to one of the seven holy churches mentioned in the Bible but which collapsed in an earthquake along with its columns in 494 A.D., has been restored and revived. 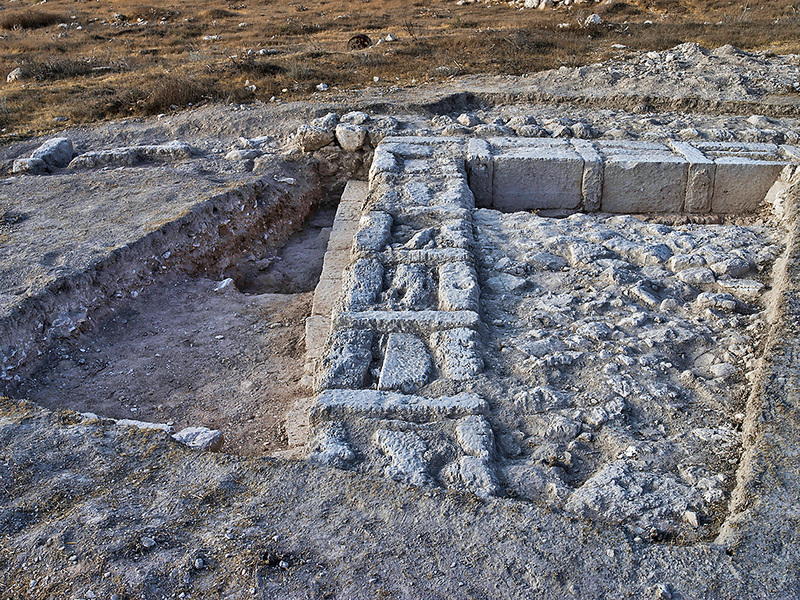 A project has also been initiated to unearth the Laodicea Stadium, located on Stadium Street in the ancient city and known as the largest stadium in Anatolia in the era. He said the Laodecia Stadium was the biggest one in Anatolia. “It is a gigantic structure that is 285-meters high and 70-meters wide. Right next to it is a bath complex. It is one of the biggest bathes in Anatolia. There is an agora and an assembly building next to it. This place was a field of both sports and administration and people came together. From this aspect, the street has importance too,” said Şimşek. See Archaeology News Network for two aerial photos of the area. Five hundred years ago a monk by the name of Martin Luther (1483-1546) is said to have posted 95 Theses, propositions for discussion or debate, on the door of the church in Wittenberg, Germany. From that time the Reformation grew and experienced many divisions. Our little album of some of the leaders of the Reformation is just a reminder of the work done by these individuals. Many of them did not see clearly the teaching of the New Testament scriptures, but they knew that changes were necessary in the Roman Catholic Church which had dominated both the religious and political thinking of Europe for many centuries. The first photo is of a statue of Luther in Wittenberg. 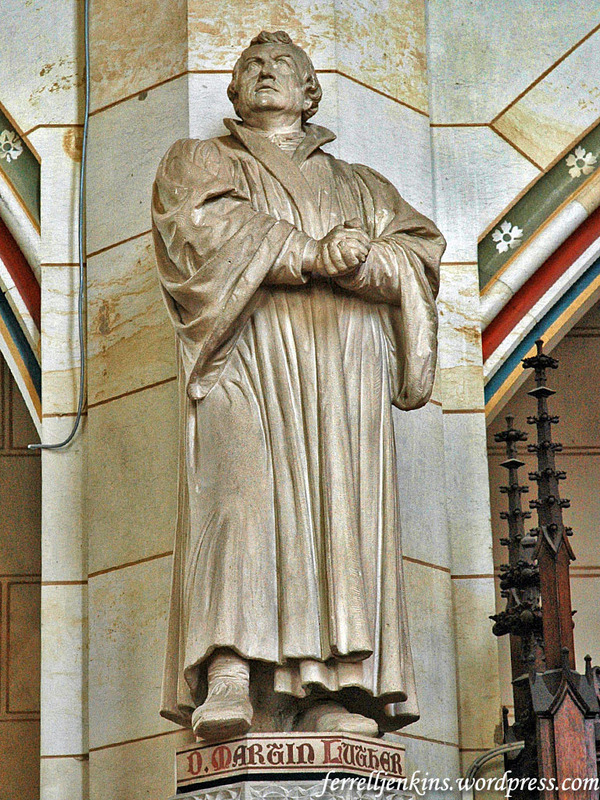 Statue of Martin Luther in the Wittenberg, Germany, Church. It was here that Luther posted his 95 Theses on the door. Photo by Ferrell Jenkins. 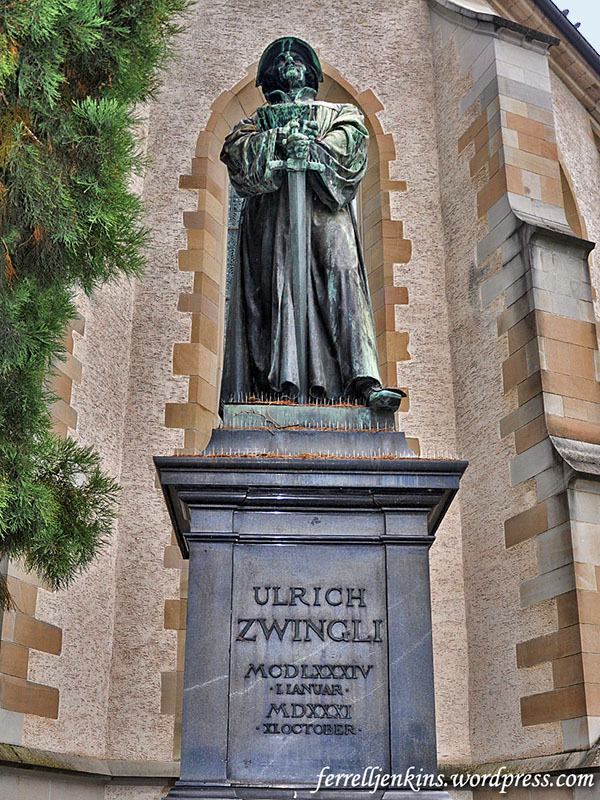 Ulrich Zwingli (1484-1531) was a leader in the Reformation in eastern Switzerland. He took a more conservative stance than Luther on a number of issues. Statue of Ulrich Zwingli, Geneva, Switzerland. Photo by Ferrell Jenkins. John Knox (c. 1514-1572) is known as a leader in the founding of the Presbyterian Church. In this statue Knox is portrayed as pointing to the Bible as the message of the Reformation. Early leaders of the American Restoration Movement, such as Barton W. Stone, Thomas Campbell, and Alexander Campbell, were Presbyterians. Through their study of the Scripture they came to differ with Knox and other Reformers on the doctrine of Predestination, sprinkling as a mode of baptism, and the use of creeds. 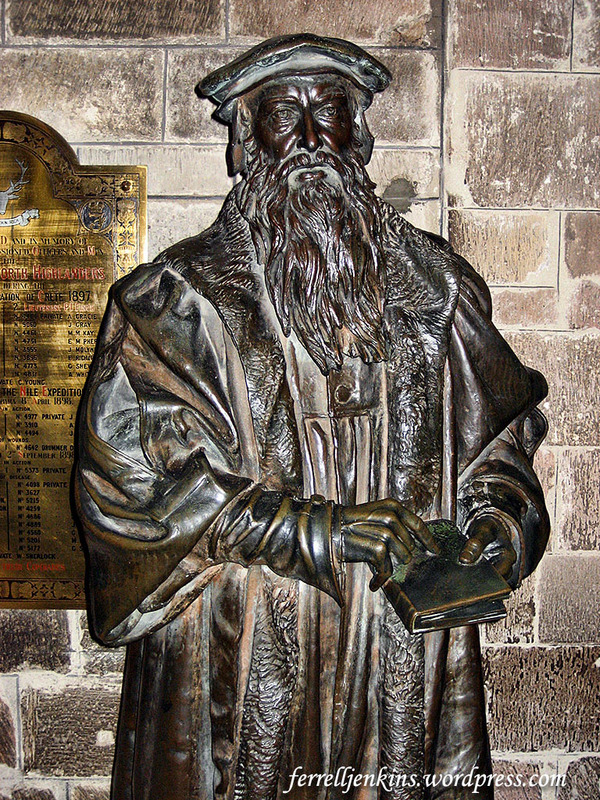 Statue of John Knox in St. Giles Cathedral, Edinburgh, Scotland. Photo by Ferrell Jenkins. I have seen the Reformation Wall in Geneva, Switzerland, but it has been many years ag0. 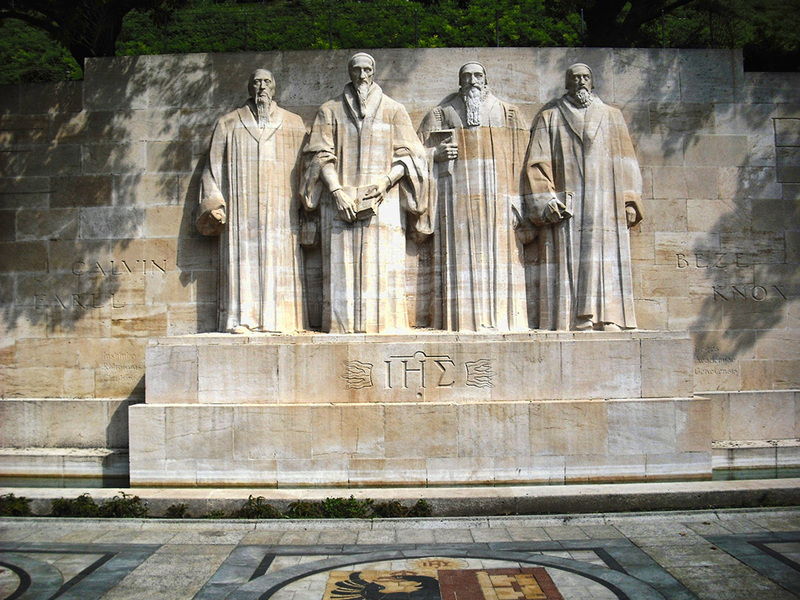 The reformers who are shown on this monument are left to right: Guillaume Farel, Johannes Calvin, Theodore de Beze, and John Knox. The Reformation Wall, Geneva, Switzerland. Photo by Ruth Nguyen (Vietnamese Wikipedia).. There were earlier leaders of what some call Forerunners of the Reformation. These include such men as Peter Waldo, John Wycliffe, John Hus, and Girolamo Savonarola (1452-1498). Savonarola was known as a Dominican scholar in Florence, Italy. His opposition seemed to be less doctrinal and more pointed at the moral failings of the Church. A marker indicated the place where he was burned at the stake in Piazza della Signoria in Florence, Italy. 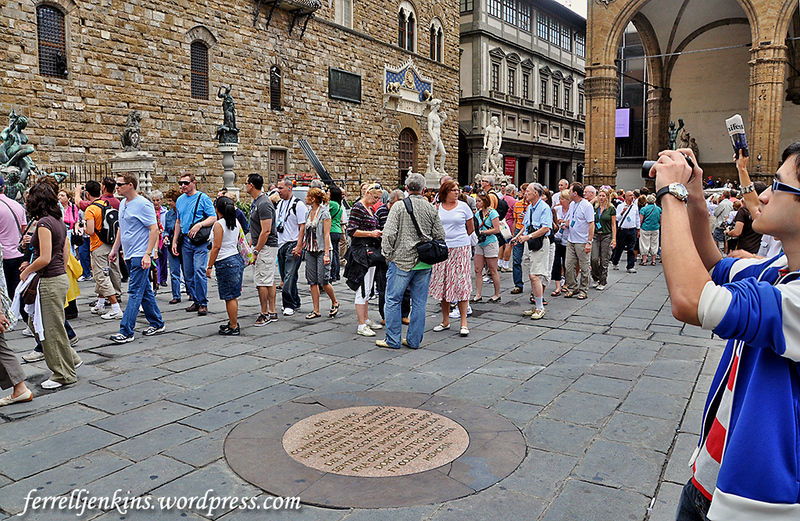 Tourists in Florence, Italy, seem to walk around the plaque marking the site where Savonarola was martyred. Photo by Ferrell Jenkins. The piazza’s statues … commemorate the city’s historical events, but its most famous episode is celebrated by a simple pavement plaque near the loggia, the execution of the religious leader Girolamo Savonarola, who was burned at the stake. 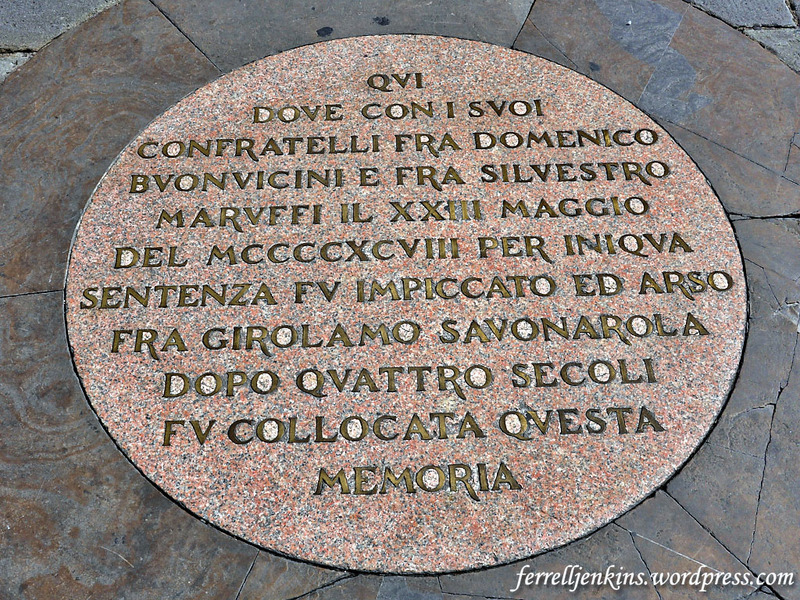 Plaque marking the martyrdom of Savonarola in Florence, Italy. Photo by Ferrell Jenkins. 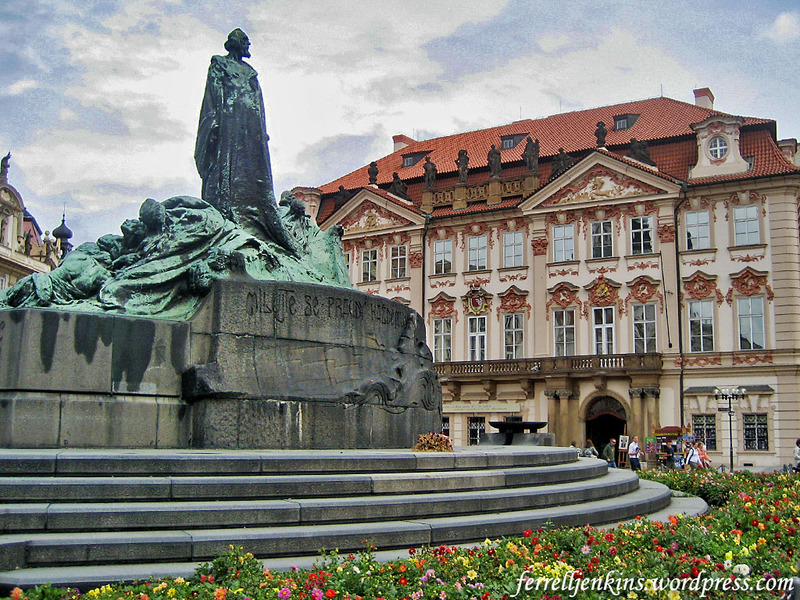 One of the earliest Pre-Reformers was Jan Hus in Prague, now part of the Czech Republic. The Hus Monument in the Town Square of Prague. Photo by Ferrell Jenkins. Martin Muller gives this little sketch about Hus and the movement associated with him. Master Jan Hus (c. 1373-1415), the dean of the Charles University in Prague, criticized church practices such as selling indulgence. He used to preach in the Bethlehem Chapel in Prague and he was excommunicated by the pope for his ideas in 1410. Despite that, he continued in preaching and he had many followers in Prague, that´s why the pope interdicted the whole city of Prague in 1414. Finally, Jan Hus was invited to the Council in Constance and he was asked to renounce his ideas. He refused, and he was burnt at the stake as a heretic on 6 th July 1415. The influence of these men is felt far and wide even by those who can not recite their names or locations. Note: I intended this post to be several weeks earlier, but have had a computer drive failure. Who knows what the article would have been like had I been able to complete it earlier? A sub-headline in The Times of Israel here about tell the whole story. US Consulate funds $750,000 restoration of 2,000-year-old Solomon’s Pools near Bethlehem with hopes of making it a tourist site. 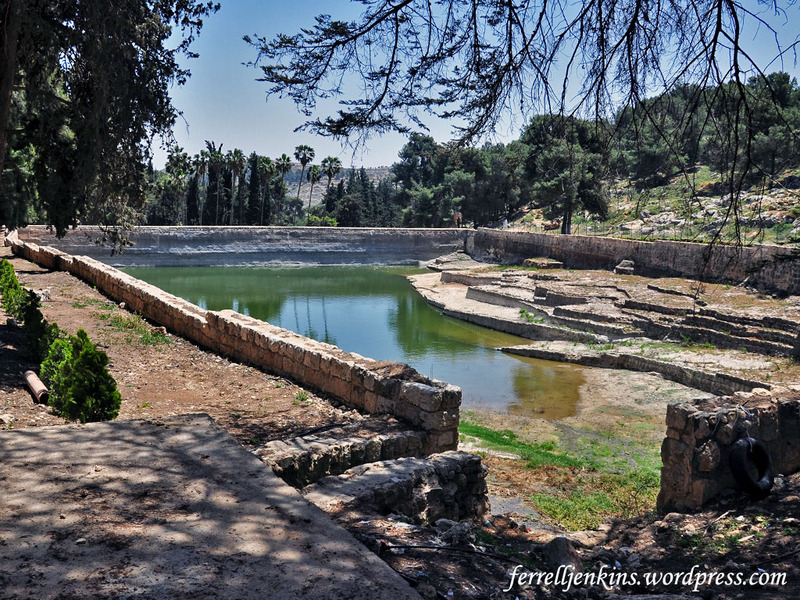 These pools have nothing to do with Solomon, but much to do with Jerusalem’s water supply in New Testament times. I recommend you read my earlier post about this here. I am re-posting some photos of the three pools that I made in 2014. The western pool. View to east. Photo by Ferrell Jenkins. The middle pool is shown here with a view to the northwest. You can see the higher hills in the break between the trees. The middle pool with a view to the northwest. Photo by Ferrell Jenkins. The third pool (easternmost) is shown below with a view toward the west. The third pool (eastern) is shown with a view toward the west. Photo by Ferrell Jenkins. 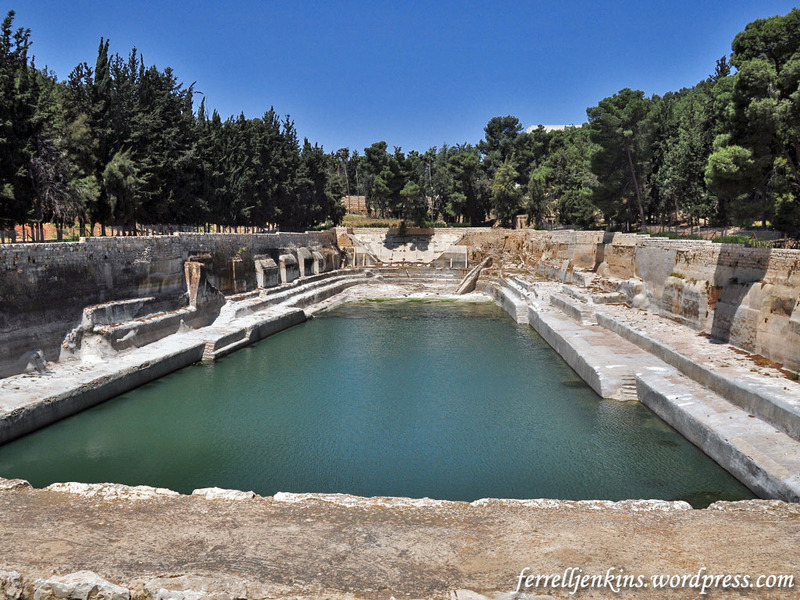 In the previous article I have several links to more detailed information about these pools and the aqueduct system that carried the water to Jerusalem. 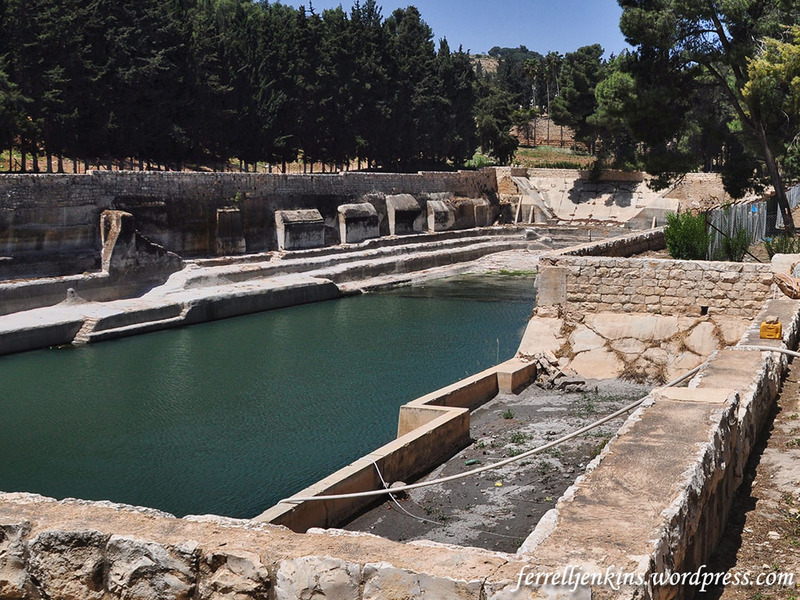 In the earliest days of my tours we were able to visit Solomon’s Pools as we traveled between Bethlehem and Hebron. In recent years it has been more difficult to visit the pools, and we have pointed out before that they are in need of restoration. Looking forward to the completion of this project that I am helping pay for (if you get my drift). HT: ABR Newsletter, @go2Carl, Bible Places Blog.